"We will enforce a strict prohibition on back-door funding schemes and end runs around our policy," Pompeo said. "American taxpayer dollars will not be used to underwrite abortions." Pompeo said the ban will now extend to those foreign NGOs that provide financial support to other groups who provide abortion services or counseling. Trump reinstated and expanded the Mexico City policy after taking office, applying it beyond family planning organizations to global health groups, including those focus on HIV, malaria, tuberculosis, maternal and child health, and nutrition. The policy was first instituted under the Reagan administration and was rescinded and reinstated by subsequent Democratic and Republican administrations, respectively. Critics argue the policy, which they call a "global gag rule" over its application to all family planning services, threatens the health of the world's most vulnerable populations, including women in developing nations with limited access to care. Sen. Jeanne Shaheen, D-N.H., who leads a bi-partisan group of senators pushing a permanent revocation of the rule, urged congressional leadership Tuesday to immediately bring their legislation to a vote. "This administration's obsession with attacking women's reproductive health is egregious and dangerous," Shaheen said in response to Pompeo's announcement. "Further expanding the global gag rule puts international organizations in an impossible position: provide women the full scope of reproductive health care services or deny critical funding that saves lives. That is unconscionable." Pompeo dismissed criticism that the policy could lead to more pregnancies and abortions in rural areas as "just wrong." "This administration has shown that we can continue to meet our critical global health goals, including providing health care for women, while refusing to subsidize the killing of unborn babies," he said. Pompeo also announced that the United States will cut funding to the Organization of American States for abortion-related activities forbidden under the Siljander amendment, a federal law that bans the use of U.S. funds to lobby for abortion. 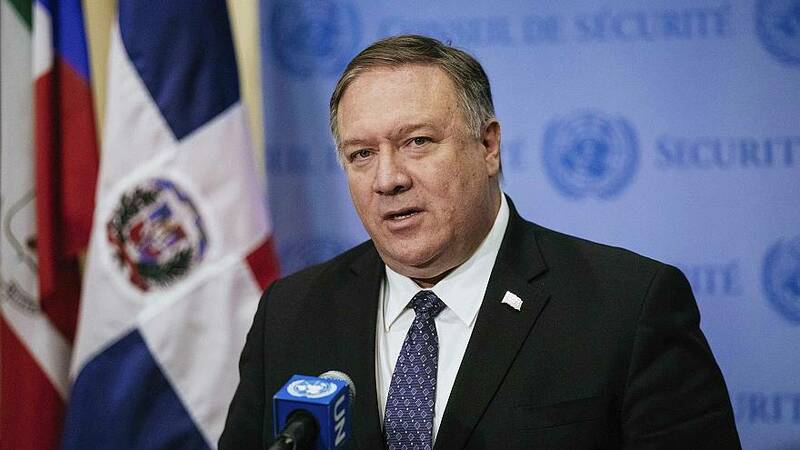 "The institutions of the OAS should be focused on addressing crises in Cuba, Nicaragua, and in Venezuela, not on advancing the pro-abortion cause," said Pompeo, who said the decrease in funding to the organization would be equal to "the estimated U.S. share of possible OAS expenditures on these abortion related activities." The State Department did not immediately respond to questions about what OAS department was in violation of the amendment or provide details on its activities.